Ryan Chatterton, Director of Marketing & Operations at Impact Hub Salt Lake, shared his thoughts on the emerging startup community in Salt Lake City, UT. 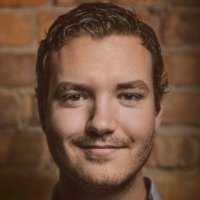 He creates and manages Impact Hub Salt Lake’s marketing strategy and runs its technical systems and operations. He was born and raised in Salt Lake City, and completed an AS in Economics at Salt Lake Community College before diving head-first into the fast-paced world of business and marketing. Impact Hub Salt Lake is a co-working space, venue, think-tank, and incubator for social entrepreneurs. He says that in him time spent adjacent and within the startup community, he has noticed that there are more creative individuals getting involved. Ryan Chatterton says the startup community in Salt Lake City faces three main challenges: know-how, funding, and support systems. He thinks Salt Lake City has an incredibly bright future ahead. As for Impact Hub Salt Lake, the future is bright there as well. The team host weekly Coffee Colliders at their community/co-working space on 44 Exchange Place in downtown Salt Lake City now, and will be moving to the 150 South State Street location in Summer 2014. He says another unique aspect of Salt Lake City’s startup community is the large group of passionate people working in sustainability and social good. Ryan Chatterton says that in Salt Lake City, there is an abundance of talented people who are willing to work a lot longer for a lot less than entrepreneurs living in larger tech hubs like San Francisco and New York City. He says he is a fan of VegasTechFund funded Crowdhall, a company with a presence in Salt Lake City as well as downtown Las Vegas. Ryan Chatterton says if you live in Salt Lake City (or visit often), the best way to plug into the most motivated, intelligent group of social entrepreneurs in the region is to join Impact Hub Salt Lake as a member at hubsaltlake.com/membership.